New Zealander climbs every mountain to chart Baekdu-Daegan range in N.K. A New Zealander’s quest to document the entire Baekdu-Daegan range is closer to completion after a recent trip through the hills of North Korea. 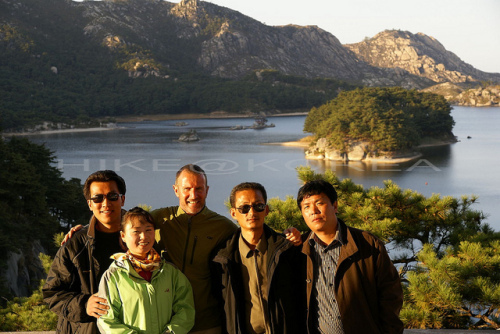 Roger Shepherd, founder of HikeKorea.com and an honorary ambassador of travel for South Korea, explored the North’s portion of the Baekdu-Daegan from Oct. 15 to Nov. 1. He followed the range through the North Korean provinces of Gangwon, South Hamgyeong, South Pyeongan and North Pyeongan, accompanied by three members of the New Zealand-Korea Friendship Society. Along the way, they covered 2,300 kilometers of country roads, he said. Shepherd is the co-author of the book “Baekdu Daegan Trail: Hiking Korea’s Mountain Spine,” covering the South’s portion of the range, but said that once he arrived in the North it became increasingly hard to identify it as a trail where people hike. “It’s safe to say that all the places I visited on the Baekdu-Daegan in this expedition were mainly unexplored by all humans, especially a foreign one, and required a lot of bushwhacking,” he said. “However, this did heighten the sense of location and isolation immensely. Because Shepherd intends to publish a photographic essay on the entire range, the North Koreans he met along the way reacted positively to his expedition. Due to the absence of hiking trails in the mountains, those he met while in the North were generally found in the plateau villages of around the Baekdu-Daegan. If they were surprised to see a foreigner there, it did not stop them from treating him with a great deal of courtesy, he said. And while hiking in the tranquil mountains, he said, the differences between North and South Korea tended to fade away. The highlight of his trip, he said, would be seeing the 1,300-meter Mount Duryu in South Hamgyeong Province. “We had stood and looked at this the mountain the previous day, and although it appeared challenging due to its dark brooding presence, I had no issue in wanting to climb it,” he recalled. He encountered quite a bit more resistance, though, from members of the Friendship Society that accompanied him, especially when the local forestry guide described the mountain as having a “healthy” bear population. His solution was to bring honey with them for the trip, but this left the problem of finding a route to the top of the mountain. Like any good pathfinder, though, they found a way around the problem. “The next day we walked for five hours through a mountain valley containing farm houses, up a steep stream head and onto the Baekdu-Daegan ridge itself,” he said. “After that we walked up the ridge to the small summit and enjoyed outstanding 360-degree views out over the mountains of North Korea. And it’s an expedition that didn’t end when November came along, sending Shepherd back to the South. In 2012, he has hopes to return to the North in May to complete the photographic project. 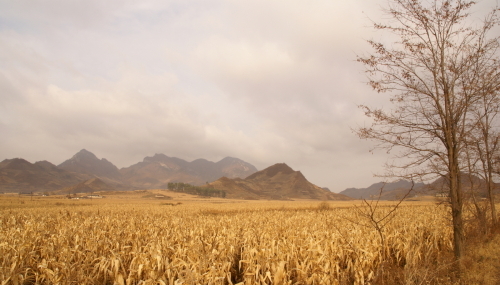 The plan then is to visit Mount Baekdu and the Gaema Plateau in the very north of the peninsula for at least one month. Using mapping software and Google Maps, he plans to take his audience on a virtual tour, allowing them a look at his footage and images captured on his travels. Between now and his next trip to the North, he hopes to exhibit the photos he has taken in South Korea. A four-week exhibition on his North Korean expedition has been set for March in his hometown of Porirua, New Zealand, a project for which he hopes to find sponsors. For information about these projects, Shepherd can be reached at www.hikekorea.com or through e-mail at roger@hikekorea.com.